BILLIONS OF COMBINATIONS. MAXIMUM SECURITY. Thanks to its high levels of resistance the system also locks and unlocks in the toughest conditions and even after years, it works like on the first day. ... And not just that: 3KSplusalso provides excellent calculation features to even implement highly complex master key systems. When a user inserts their key, 2 control bars in the cylinder scan 6 curves etched in to the 3KS Plus key and bring 12 solid, springless sliders into specific positions. An additional bottom bar checks the edge profiles of the key. 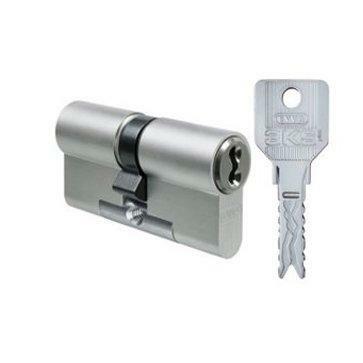 The 3KS Plus key is scanned 4 times dyring the unlocking action - 3 times more than other systems Only when all of these match up does the key turn. The key is reversible meaning it can be inserted either way making operation simple. The 3-curve design incorporates additional security ensuring the system is suitable for deployment in the largest and most complex master key systems. 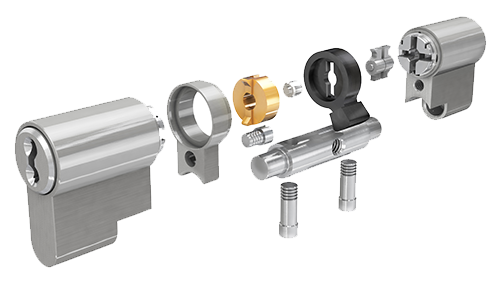 Unlike most master key systems that rely on spring pressure in the cylinder, the 3KS Plus sliders (locking pins) inside the cylinders are actively moved by the tracks in the key. This active operation means 3KS Plus will outperform all others in challenging environments be they dirty, dusty or salty. The patent on the 3KS Plus system is valid until 2025. 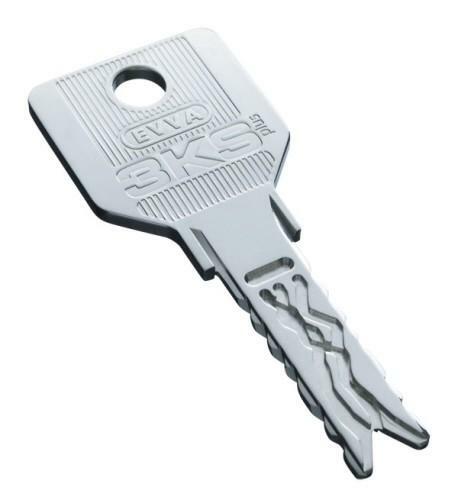 Through patents and licensing, EVVA restricts the manufacture of 3KS Plus keys to a number of authorised dealers.